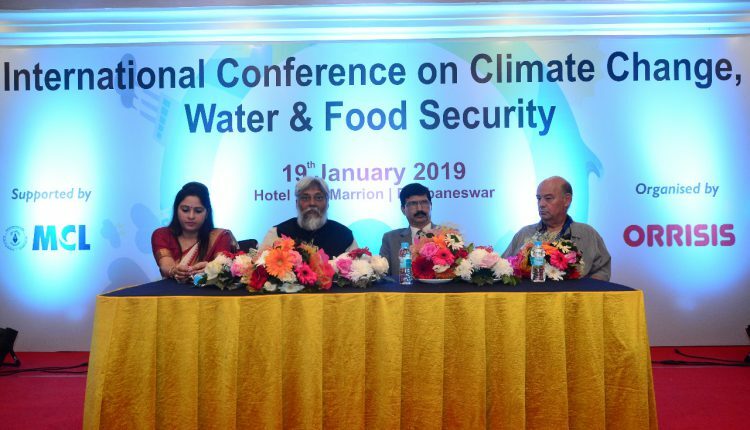 Bhubaneswar: An international conference was held recently at a hotel in Bhubaneswar to discuss about climate change, water issues and food security. Titled “International Conference on Climate Change, Water & Food Security” the conference was organised by Organisation for Removing Regional Imbalances & Social Injustice in Society (ORRISIS), a non-governmental organization. Noted water conservationist and environmentalist from Rajasthan, Dr. Rajendra Singh, who is best known as the ‘Water Man of India’, graced the occasion as the chief guest. In his speech Dr. Singh said, “It is very important to look at Odisha as it is the most vulnerable to the impacts of climate change owing to its geographical and ecological diversity.” He also talked about inculcating Green Good Behaviour in ourselves. Authored by Ms. Anannya Naik, the book titled “My Journey to Hirakud Dam” was also released on this occasion. About the book Dr. Singh said that such a book is an important reference for the climate change experts. “Organising such conclave that brings experts and practitioners from the scientific community will not just help Odisha but the country at large,” he added. “Impacts of climate change are most felt in Odisha even though it is the least contributor to this issue. The state faces frequent occurrence of both floods and droughts” said Ms. Anannya Naik, President, ORRISIS. She also highlighted the issue of silt deposition at Hirakud dam, prospective of Mahanadi river basin management towards sustainability. 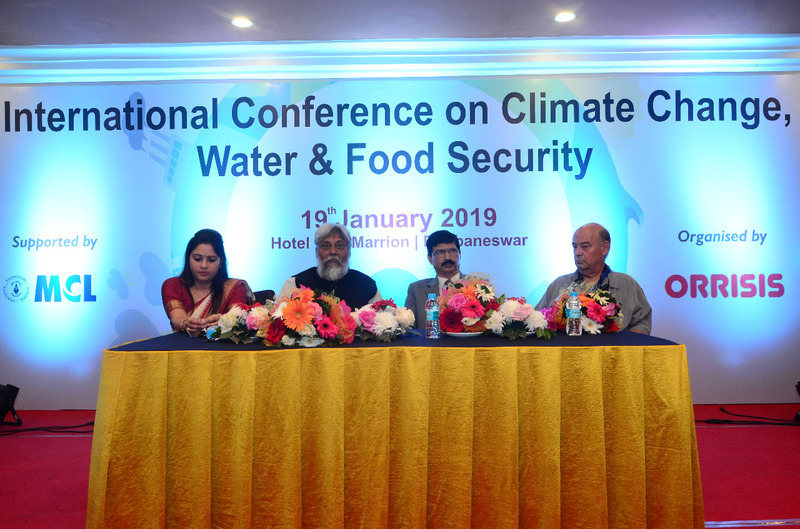 The one-day conference brought together international urban water management experts, Water distillation process experts, Agriculture & food processing experts, Engineers, social activists and representative from NGOs, students to deliberate and exchange lessons on building a climate-resilient Odisha. Retd. Justice, Odisha, Dr. D. P. Chowduhry, Urban water Management Head and Mr. Hovov Lerner from Israel as well as experts from Israel, Sri Lanka and India graced the occasion. Key points emerging from this one-day long conference included the need to stick to commitments, collaborate and take collective action on building a climate resilient Odisha. Scholars came up with many policy recommendations such as cohesive working of departments to make projects climate proof, push CSR funding into climate resilience projects, better plans on water management and more aggressive action.